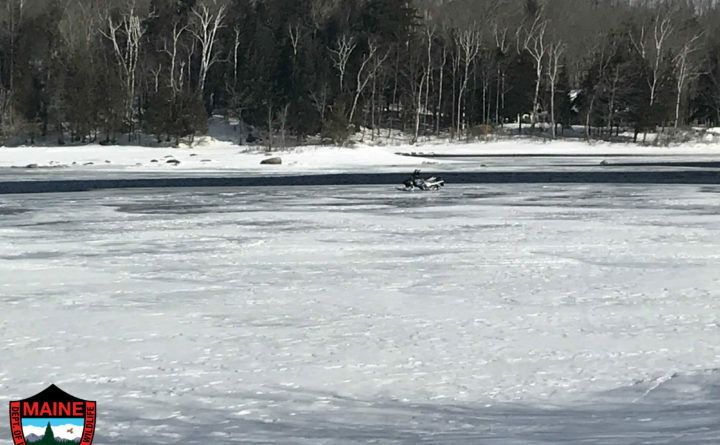 A group of snowmobilers was rescued after they came across thin ice on Sebec Lake early Saturday morning, and one man was treated for hypothermia, according to Game Warden Cpl. John MacDonald of the Maine Department of Inland Fisheries & Wildlife. Timothy Carignan, 30, of Berwick; Nicholas Smith, 31, of Berwick; Nathan Lynch, 32, of North Berwick; and James Taylor, 39, from Dover, New Hampshire, were snowmobiling just after midnight on Feb.9 when they encountered the thin ice, MacDonald said. Lynch and Taylor — and their snowmobiles — became completely submerged, but Carignan and Smith were able to avoid falling in the lake. Lynch and Taylor were able to get out of the water and onto the ice. “Taylor drove one of the two remaining snowmobiles to an unoccupied camp to find warmth,” MacDonald said. The three remaining men — Lynch, Carignan and Smith — were stranded on thin ice near sections of open water, and Carignan called 911. 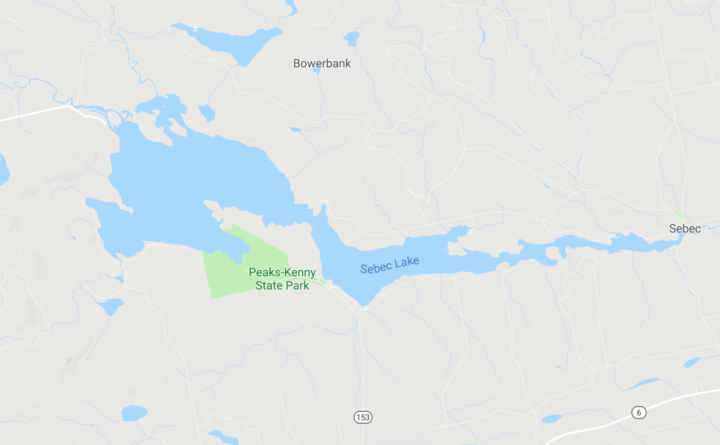 Sebec Fire Department, Mayo Ambulance and Game Warden Jeremy Kemp headed to the scene around 1:20 a.m.
Sebec firefighter Jason Horne and Kemp headed out onto the lake in a borrowed canoe, which allowed them to get close enough to the three men. Lynch, Carignan and Smith got into the canoe, overloading it, so Carignan left the canoe, and partially broke through the ice. “He managed to hold onto the canoe as rescuers pulled it across the ice to safety,” MacDonald said. While the three men were brought inside a nearby camp to warm up, Kemp went searching for Taylor and found him in an unheated camp nearby. When Taylor was found at 2:20 a.m., he was hypothermic and unable to walk. “Had Taylor not been located, game wardens feel it is likely he would have died from hypothermia,” MacDonald said. The four men were unfamiliar with the lake, according to game wardens. The incident remains under investigation, and game wardens will be at the scene throughout the day Saturday.